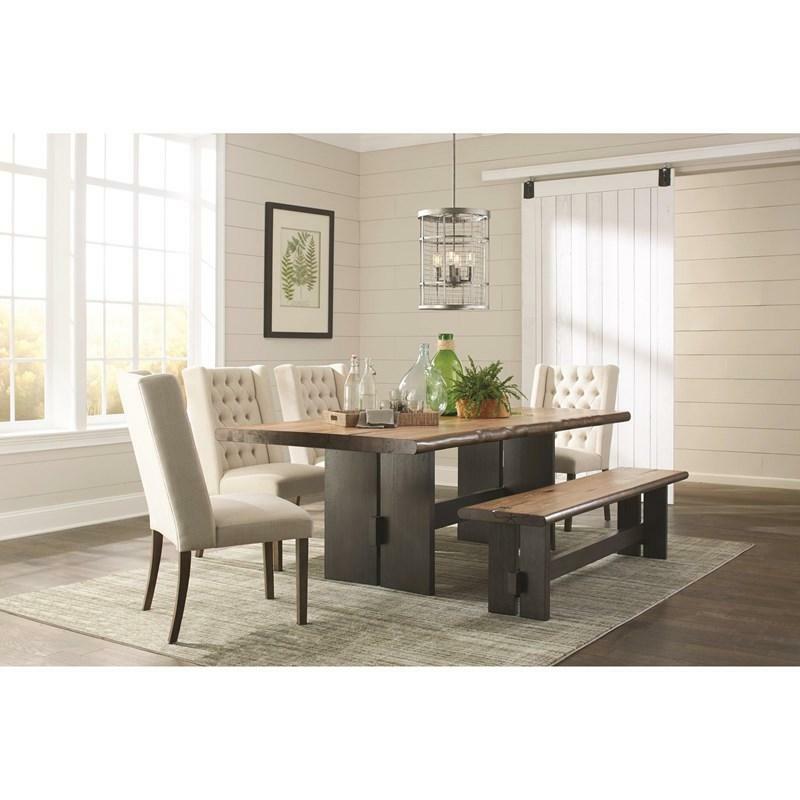 The beautiful Marquette dining table from the Scott Living collection offers a live-edge design and hand-crafted look. It is made of U.S. hickory veneer and solid edge band. 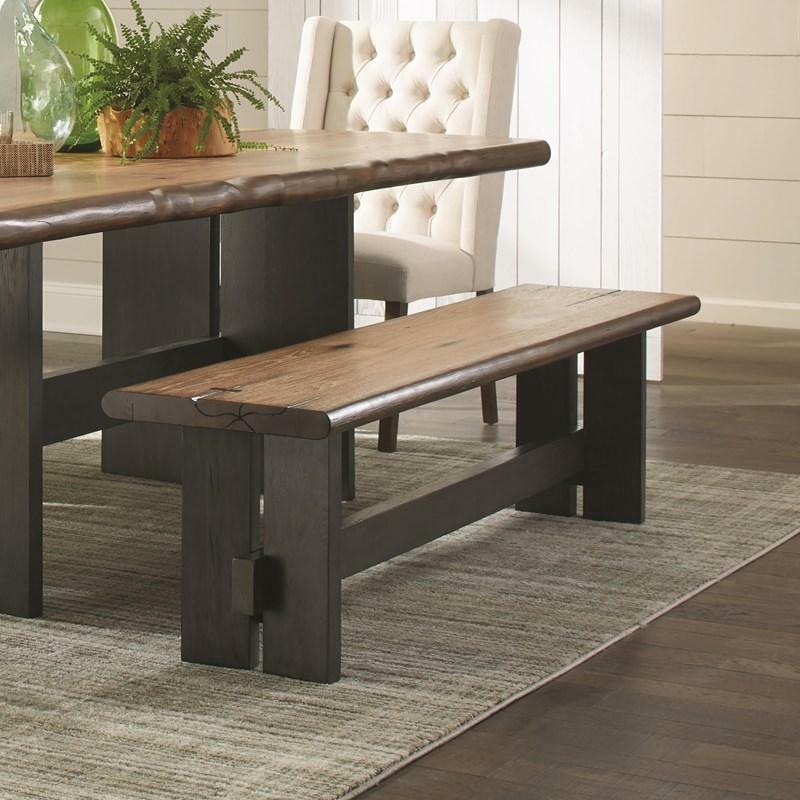 It comes in a two-tone finish: a natural honey finish on table top and a charcoal finish on table base. Each table top has natural knots, nature’s imperfections and hand inlaid bow ties. 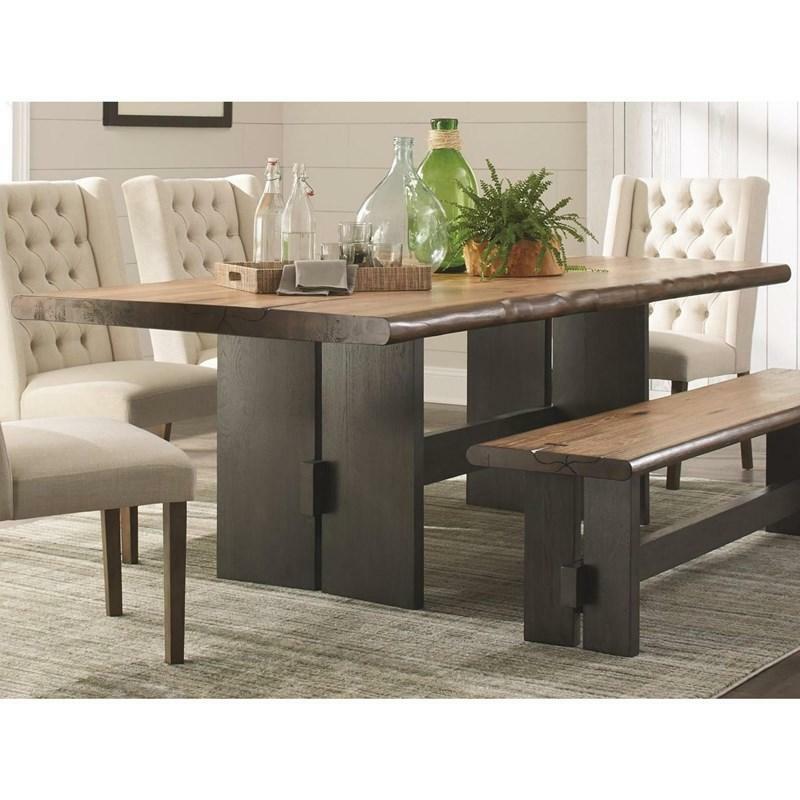 Extra thick table top sits on top of a solid wood Amish style trestle base. 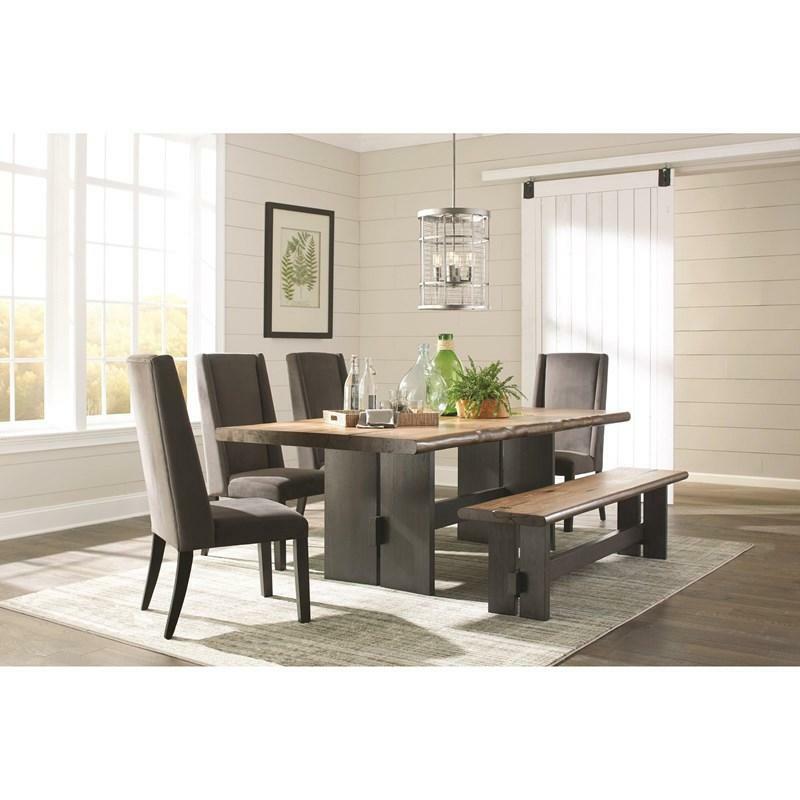 It can be paired with the matching bench and your matching favorite chairs. Volume 20.33 cu. ft. / 0.58 cu. m.